Would it be possible to add error bars to the data in a chart? 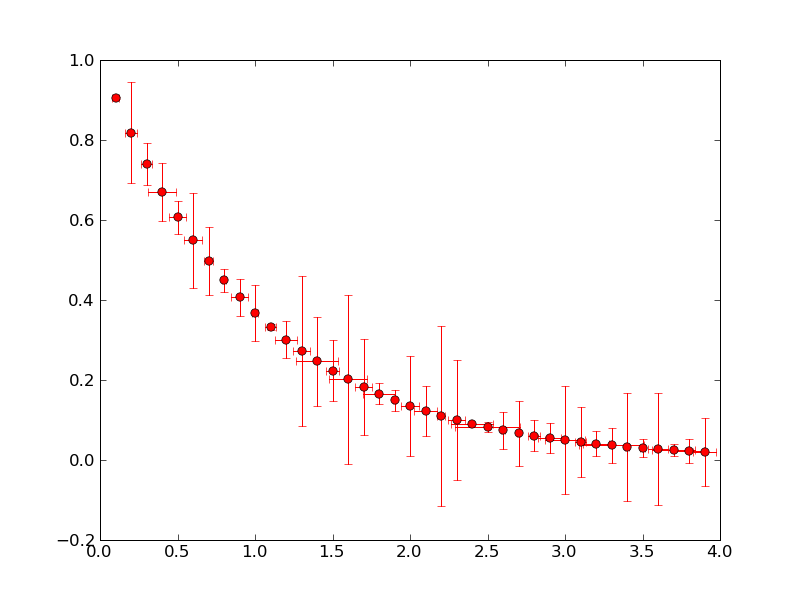 Yes -- you can using the MATLAB errorbar plot. Is it possible to create an error bar plot using MATLAB Visualizations? I can't see an option using thingsSpeakPlot. If I try to use MATLAB Analysis and the errorbar(x,y,e) function I get an error that states..
"Cannot use MATLAB visualization code "bar(x,y,e)" in the MATLAB Analysis app. You must create a MATLAB Visualization." That is correct, you can create an error bar plot using MATLAB Visualizations App. You will not be able to create an error bar plot in a MATLAB Analysis App. Create a new MATLAB Visualization App and select "Custom (no starter code)" option from the Templates. Paste the below MATLAB Code in the new MATLAB Visualizations App to generate an example "errorbar" plot. I have an arduino that is contantly writing to ThinkSpeak to monitor the system intake performance. Here's some code that I use to visualize the data associated with that. You should be able to copy/paste this into a MATLAB Visualization verbatim. Thanks Rob - that's got it all working well now 🙂 Thank you!